Find the absolute best emergency dentist in Sioux Falls, SD by using our 24/7 hotline, the referral service operators will find the best 24 hour dentist for you in Sioux Falls, call today! Sioux Falls is the largest city in the state of South Dakota, and was constructed right on the scenic banks of the Big Sioux River. A town that was drastically changed by the coming of the railroad like many others, it is a great destination full of Midwestern charm and where you start to run into the pleasantly Minnesotan, cold wintered hockey loving way of life. In case you run into extreme tooth pain and require a need for a 24 hour dentist Sioux City IA , we have the best portal around to help you connect quickly with someone who provides services on Saturday as well. open 24 hours a day, and 7 days a week. The relief of finding a Sioux Falls emergency dentist will get you happily back into the swing of a vacation or holiday trip without the agony of severe tooth pain. These dentists are vetted by Emergency Dentists USA, and are here to help you in your time of desperate pain and need. This city with more than 70 beautiful parks and recreational open spaces to enjoy is becoming known as one of the best places to raise a family in the nation, and may are following the lead that recent articles and the like have suggested. This is not a place that you want unbearable wisdom tooth pain or a cracked tooth ruining your stay in; we want to be the portal to get you back to a pain free stay here. Description: You may be on your way to see sights like Mount Rushmore or the black hills, or passing through this beautiful South Dakota city on business. You can use our top notch referral service to locate a late night dental clinic here, and put an end to the pain that is now jarring you into a state of discomfort. Our partners maintain a relationship with some of the best dentists in the nation, and we can help you quickly locate an after hours clinic to provide urgent care for you. Easily find South Dakota emergency dentists with our service. Description:Listed as an after hours and emergency dentist, this clinic can provide care on weekends or during the evening. Resident doctor Beecroft was born in northwestern Iowa, and grew up near the town of Madison, South Dakota. He began his studies at Augustana College in Sioux Falls, and worked for 4 years in Tokyo broadening his horizons as an English instructor after that. He completed his Doctorate of Dental Surgery at the Minnesota School Of Dentistry, and strives to provide first class care. Patients love his aviation themed office, where his love of planes is illustrated in his day to day business. Description:This great option for a weekend or late dentist is located conveniently on Western Ave, and offers emergency services on the weekends. 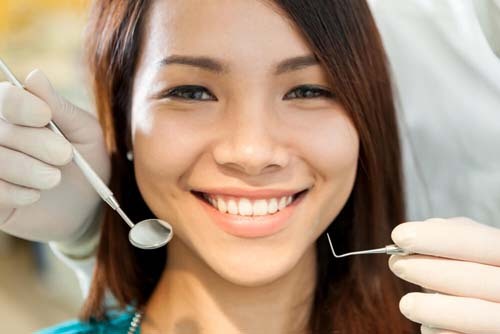 They offer discounts for cash presented at service, submit all of the insurance details for you, and can provide root canal services, cleanings, bridges, and cracked tooth servicing. Known for being extremely compassionate and going the extra mile for every new or existing customer, they are said to be a leader in choices of closest emergency dentist, and are sought after locally due to their gracious staff and thorough explanations of care. Description:This Sioux Falls practice is an excellent choice for an urgent care dentist, led by well respected and seasoned Cody Henrikson, D.D.S. He received his bachelors in Biology from Augustana College, and earned All-American Honors 3 out of his 4 years there. During his Doctorate at the University of Minnesota School of Dentistry, he volunteered at the Gospel Union Mission. He wanted to be a dentist ever since he received top notch care for his broken tooth at age ten, and is a great choice for an urgent care dentist in Sioux Falls. Many that have come to him for care claimed that the service he offers is exemplary, and he has deep concern for everyone in his chair. This scenic and appealing city to live in is full of things to do such as Falls Park, Great Plains Zoo, the St. Joseph Cathedral, and the Sioux Falls Convention Center. When you are spending time here and intense pain from an abscess or an accidental cracked tooth creeps up on you, we offer the perfect portal to help you find an emergency dentist in Sioux City SD . We want you to feel good enough to make it to Mount Rushmore or even the Dinosaur museum in the western part of the state! If you want to closely examine the reputations of any of these dentists listed, you can visit South Dakota Dental Association . “Cracked teeth can be difficult and frustrating to diagnose – both for the patient and the dentist. Patients all experience pain in very different ways. Some patients have a very high pain threshold, some patients can’t really tell where the pain is coming from, and some patients experience a pain level of either 0 or 10 with nothing in between.